As I mentioned last week I am currently working on a crochet blanket. It is taking a while because it is so large… and also because I get bored quite easily! I am the kind of person who likes to finish what I’ve started rather than put things down and start a new project, but that may not be the case with this one!So, in true Blue Peter style, here’s one I made earlier. 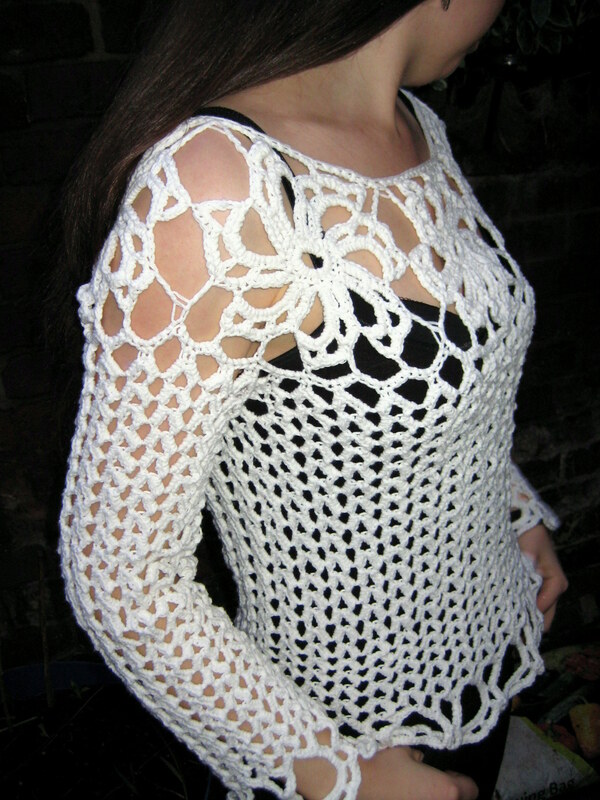 It is Doris Chan’s Avalon top and you can get the pattern for free on Ravelry (where, incidentally you can also find all of my crochet patterns). This was a great project to work on whilst I was watching Wimbledon… it is so summery and light. 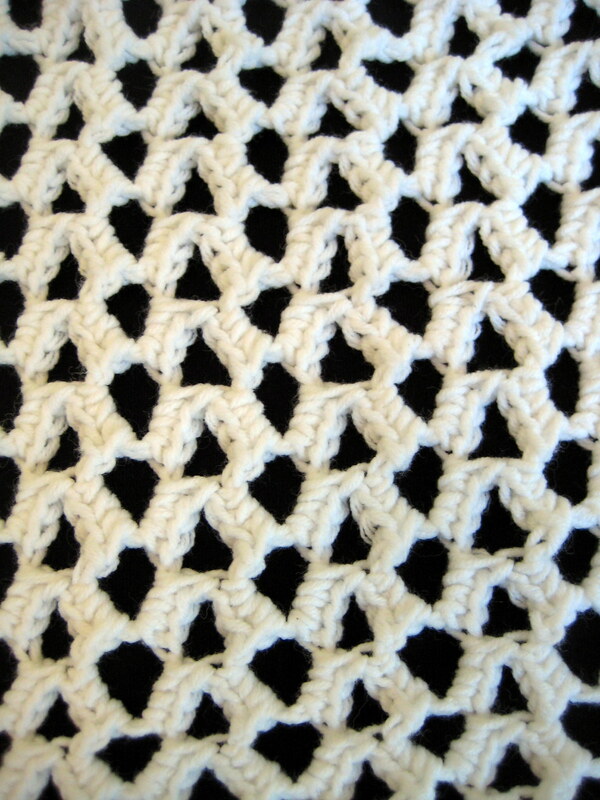 When I first saw this pattern I must admit I was a little scared because it looks complicated. However, I decided that the only way I would get better at crochet is to try the things which challenge me, so I went for it! I actually found it easier than I expected it to be. 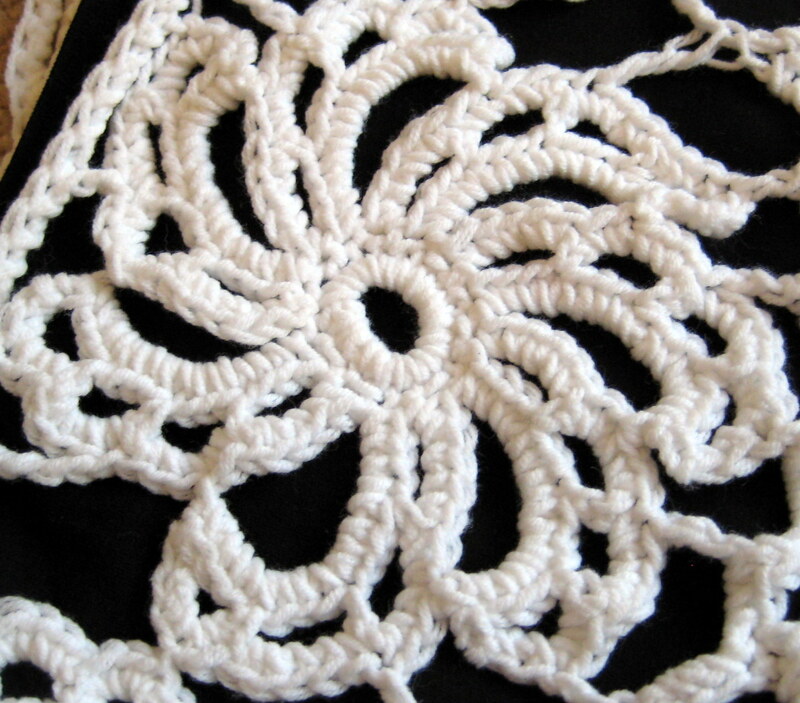 The pattern starts by making the flower motifs, which are then crocheted together. The pattern is then worked from the yoke down. 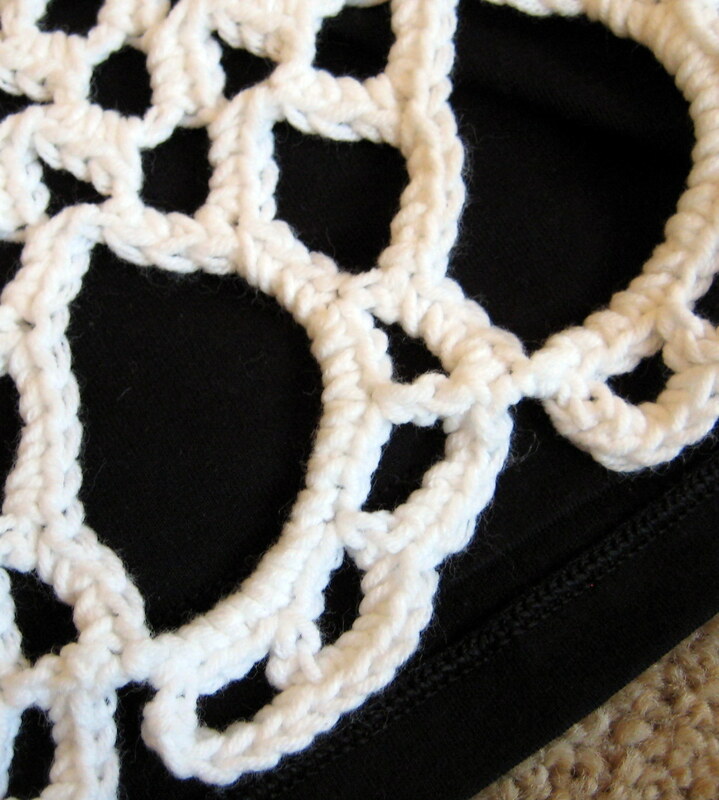 I mistakenly worked all 7 motifs (the number for my size) separately, so had to go back and sew them together later. But this was easy to do, so not too bad a mistake! The worst part was the stitching to stabilise the yoke (i.e. attaching the motifs together to form the neckline). But taking the pattern one step at a time and concentrating meant it got done without too much head scratching. 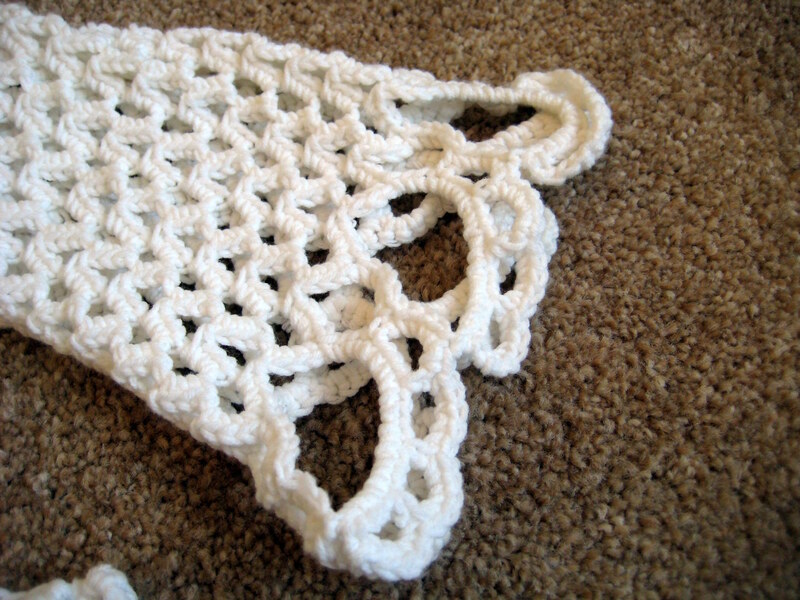 The pattern stitch for this is actually very easy, it is just single crochets worked over chains, with chains in between to set up the next row. And although the edging to the cuffs and hem looks complex, it is almost the same as the pattern used to make the motifs for the neckline, so when it got to it I found this was not too difficult at all! 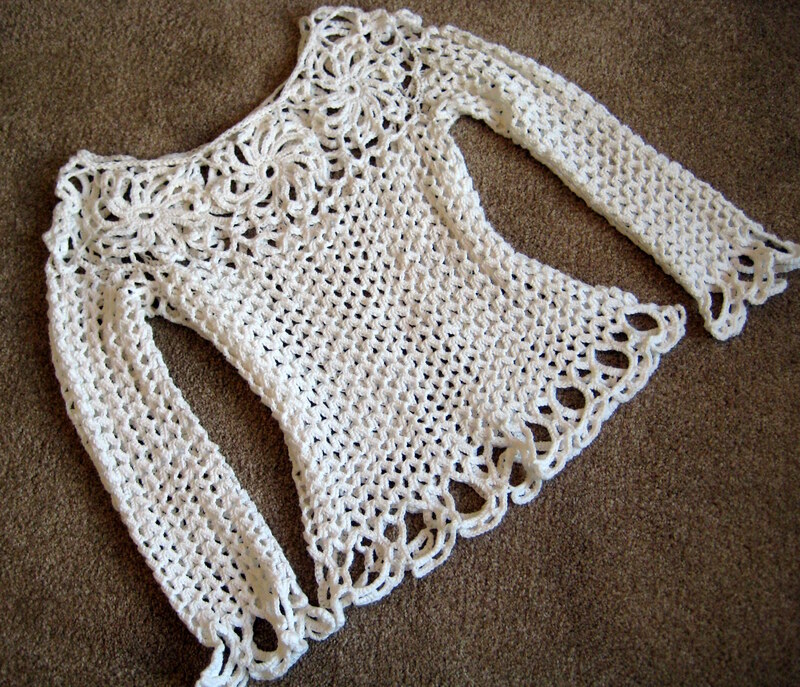 If I were to make this again I would use a lighter weight yarn (mine was heavier than recommended by the pattern) and also buy a little more so that I could have added a row or two to the sleeves (I ran out). Over time the top has stretched out widthways and shortened which is annoying! So I may even make a size down another time and then make it extra-long in anticipation of this. If you are thinking of trying this pattern and are between sizes I’d definitely suggest making the smaller option and adding length to it. But I do like a more fitted look. I’m pleased that I managed to tackle this project and it has taught me not to be put off projects because they look complex. What projects are challenging you at the moment? Have you ever struggled with a project and been successful in the end? A lovely project indeed, I think my daughters will like it too. Thank you for the link to the pattern. When I click on the link to get the free pdf of the pattern, I get a “404 Page Not Found” message. Is there any way you can send me the pattern? That’s funny, I’ve checked the link to the pattern and it’s working fine. The link is to the page on Ravelry where you can download it (not to a pdf). If you are having problems just type “avalon top” into a search engine and it will be right there! Thanks for the re-blog! I enjoyed making this one. Found the pattern surprisingly easy to follow! I’ve also made the Avalon top as a gift for my sister using Caron Spa yarn. I agree, if I ever make another i will use a lighter weight yarn as recommended.